While it might look and sound counterintuitive at first glance, it could actually make perfect sense. Instead of assuming that home loan financing is just a cumbersome, yet mostly guaranteed step toward the American Dream, understand that it will dictate the home shopping process itself. After all, without a mortgage, there’s a good chance you won’t be getting a home unless you’re one of the few individuals out there able to finance the transaction with cash. There’s a reason I’ve written so many articles in the past about what to do and not to do before applying for a mortgage. I’ve recommended renting before applying for a mortgage, avoiding credit card use, knowing which type of mortgage you want before speaking to a lender, paying down debts, and more. I brought up all these important points because they are often overlooked, and aren’t something one can resolve in a matter of days or weeks during crunch time. And so focusing on these potential pitfalls early is key to actually getting the house you want. Unfortunately, in practice, would-be buyers seem to be too quick to launch the Redfin or Zillow app on their smartphone instead of heeding such advice. Aside from complicating matters when it comes to mortgage loan financing, it could completely jeopardize the deal, especially in a competitive housing market such as the one we’re experiencing now. Are You Too Focused on the Home Search? I get it, home shopping is fun, albeit frustrating. You can envision yourself in a brand new house, celebrating life’s milestones and perhaps growing a family. 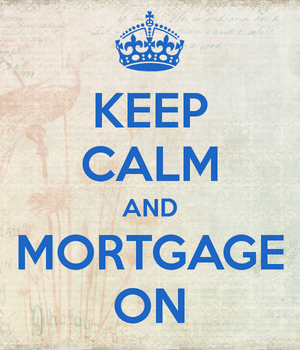 It evokes excitement and curiosity, often the complete opposite of what a mortgage might do. And even once you find a house and go under contract, there’s a good chance you’ll focus more on the house itself than the mortgage. For example, you might put countless hours into what needs to be done once you move in, such as choosing a new paint color, but find it difficult to set aside even an hour or two toward home loan research. I fully get that, mortgages just aren’t exciting, and never will be. But you have to look at the mortgage as an opportunity (to save time and money), not as a hassle or a roadblock. A new study from Fannie Mae revealed that there is a “lack of mortgage focus” out there that is more prevalent among low- and moderate-income borrowers. In particular, these prospective home buyers weren’t aware of minimum down payment and credit score requirements, let alone their own credit scores. In viewing it this way, they also did themselves a disservice by not allowing adequate time to comparison shop. They simply found a mortgage lender that could close by deadline, and likely out of fear, didn’t bother checking in with other banks regarding mortgage rates, closing costs, and so forth. For others, they weren’t so lucky. In about half of the cases in the Fannie Mae study, the lack of research and planning meant they didn’t qualify for a mortgage at all. And were forced to go back to the drawing board, either to rebuild their credit or to add to their savings in order to qualify. Do You Want to Spend Two Years Buying a Home? For those in the survey, lack of preparation meant a “home purchase journey” that lasted more than two years when all was said and done. The wasted time aside, we’re also talking a potentially higher purchase price, a higher mortgage rate, and possibly missing out on your dream home while being forced to settle for something less than desirable. The takeaway is clear; put in the time beforehand when it comes to obtaining a mortgage. Otherwise it can cost you big and become a major headache. The time you put in upfront could actually reduce the overall amount of legwork throughout the process too, and increase your chances of getting the right mortgage (and house!) the first time around. Getting a mortgage pre-approval is not enough. Knowing you’ll be pre-approved, or having a very good idea that you’ll qualify for a mortgage long before you begin shopping for a home, is vital. Otherwise you might want to shut those real estate apps on your phone and cancel all those real estate listing emails you receive on a daily basis. Read more: 11 tips for those buying a home in 2018!